Which is the Better Body Type? It is common knowledge that every person is unique and everyone has a slightly different body shape that is determined by ones genetics. However, there are two main body types that are very common, the apple and the pear, and these shapes also give insight into how a person should eat, exercise and what health problems they are at risk of developing. 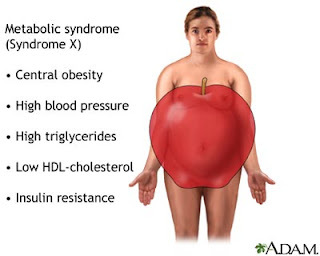 This is because it is not only important to pay attention to how much excess fat a person has, but to also pay attention to where the fat is distributed on the body because that is more indicative of the person’s health (Apple and Pear Body Shapes). A person with an apple body shape gains and stores body fat around their middle section, primarily above the belt in the belly area. When fat builds up in the abdomen and waist area, this is called visceral fat because the fat is surrounding the heart, liver, lungs, kidneys and intestines. This type of fat is very dangerous because it causes inflammation, and produces hormones that make a person more vulnerable to heart disease, cancer and diabetes. Apple shaped people are also more likely to have anxiety, depression, and high blood pressure problems. In general, people with apple shapes are at a higher risk for more serious weight related problems because the visceral fat they store in the abdomen is worse than the fat people with pear body shapes store. However, it is possible for an overweight apple person to become a healthy apple by reducing the fat around the stomach. A person can reduce their chances of getting the weight related diseases 50% just by losing two inches off their abdomen region. 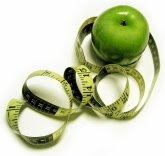 The best way for apple people to loose weight is to eat fiber filled foods, do aerobic exercise and to make sure blood sugar and fat levels are normal. Fiber foods will help to slow down the digestion of sugars and they will lower insulin and cholesterol levels. The ideal diet for an apple person would include 50% complex carbohydrates (veggies, brown rice), 35% “good” proteins (fish, beans) and up to 15% “good” fats (nuts, yogurt). An apple person can never change their body shape, but they can control how much fat is around their stomach and they can work hard, through dieting and exercise, to stay a healthy apple (CBS NEWS). issues associated with the pear shape are less dangerous than those of the apple shape, but pears are more prone to self-esteem issues due to a poor body image (CBS NEWS). 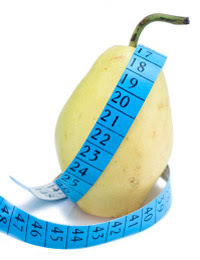 There are ways; however, that a pear person can control the amount of fat they store and help decrease their chances of getting varicose veins or cellulite. Someone with a pear body shape should eat low fat foods, do resistance training, and continually check to make sure their bone density levels are ok. The pear body shape will to store excess fat in the hips and thigh region, so the less fat the person consumes, the less fat there is available to be stored. Resistance training is also important to strengthen the bones and create more muscle. The ideal diet for a pear person is 55% complex carbohydrates, 30% “good” proteins, and up to 15% “good” fats. It is important to constantly watch ones fat consumption, because a pear person could become an apple person over time if he or she gains weight. navel. Then measure the circumference of the hips at their widest part. With the realization that many non-renewable resources are running low, thinking “green” has taken the country by storm. And construction companies are doing just that, by building houses with materials composed of little "green" edamame. The soybean, or edamame in Japanese, is a popular food in a number of countries, including increasingly the United States, thanks to its health benefits (high protein, omega-3’s, etc). But this legume is also the perfect food for creating sustainable buildings, and in more way than one (United Soybean Board). 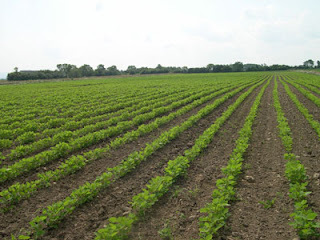 (photo to left: rows of soybean plants. http://www.nysaes.cornell.edu/pp/pp419/PP419Gallery/abawi/pages/healthy%20soybeans.htm photo to right: an edamame pod. http://www.dow.com/renuva/contact/ ). The latest advance in green construction is soybean insulation. Unlike the traditional polyurethane types which are composed of over 90% petroleum or petroleum derivatives, soybean insulation is composed of renewable soybean oil, reducing the dependence on fossil fuels (Pandolfi, 2008). In addition, U.S. companies that install soybean insulation make it from soybeans grown right here in the country, eliminating the wasteful energy and materials usually spent on packaging and shipping for products made overseas (BioBased Insulation). Some companies that install this sustainable insulation even use water as their blowing agent, as opposed to harmful chemicals like CFCs or HCFCs which break down the ozone layer (Pandolfi, 2008). Since soybean insulation is more durable and resistant and creates an air-tight seal, unlike traditional insulation, it more efficiently keeps a building cool or warm (BioBased Insulation). This in turn reduces the amount of energy (and money!) spent on air-conditioning or heating. Watch a video of soybean insulation being installed in a green building. Scroll to the bottom of the page and click on "Heifer International" to the left. (BioBased Insulation). Soybean insulation also has health benefits. 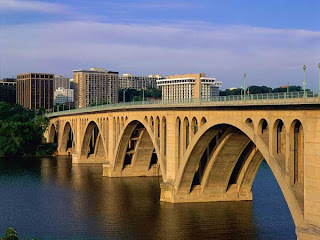 It contains no urea or formaldehyde, the synthetically made compounds used to hold together normal insulation, which have been shown by the National Cancer Institute to be carcinogenic to humans (National Cancer Institute). This green insulation is resistant to mold growth and other allergens, and is not a source of food for any rodents or insects (BioBased Insulation). There are other innovations that are using soybeans in place of petroleum, which is the traditional material from which common building materials are made. 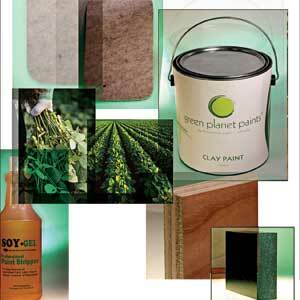 This includes soybean polyol-based carpet backing - a trend spreading especially in hotel and condominium chains - soy adhesives in plywood and particleboard panels, soy-based resins in non-VOC paints and paint removers, countertops composed of recycled newspaper bound by soy-based resins, and soybean oil construction lubricants. All of these products are eco-friendly, as they are made of renewable resources and are biodegradable (Delta Farm Press, 2008 and Pandolfi, 2008). (photo to left: soy-based carpet, paint, plywood, countertop, and lubricant. http://img2.timeinc.net/toh/i/a/0808-soy-products/soy-products-00.jpg ). So the next time you eat an edamame, think of all the things that little bean can do! Pandolif, Keith. “So You Pumped Your Walls Full of Soybeans?.” This Old House Magazine. July/August 2008. There has been a great deal of hype about green tea lately. It’s on the news, all over the internet and it’s even made multiple appearances on Oprah. So are the claims true? Can it help you lose weight, lower your cholesterol or even prevent cancer? The jury is still out, but there is no denying that green tea does have the potential to improve your health. Archeological evidence suggests that people have been drinking tea in one form or another for 500,000 years. Ind ia and China were the first countries to purposefully cultivate tea, and green tea has been used medicinally in China for at least 4,000 years(www.umm.edu). The Chinese have used green tea to treat common aliments like headaches as well as more serious conditions like depression (Parkinson 2008). Green tea has also been used in India and China as a diuretic, astringent, and blood sugar regulator. Today, hundreds of millions of people around the world drink tea, and there is increasing research into the medicinal properties of green tea. What makes Green Tea Special? Green tea is made from the same plant (Camellia sinensis) as black and oolong tea, but it is steamed rather than fermented (http://www.umm.edu/). Unfermented tea leaves contain high levels of polyphenols, specifically epigallocatechin gallate or EGCG (Parkinson 2008). EGCG is an antioxidant, a chemical which degrades free radicals. Free radicals are particles which have the potential to alter DNA and cause cell death. Over time, free radicals can lead to cancer, heart disease and other health problems. Antioxidants help to neutralize free radicals, and therefore may help prevent certain diseases (www.umm.edu). In 1997, The University of Kansas found that EGCG is twice as powerful as resveratrol, the antioxidant found in red wine. The researchers hypothesized that the high consumption of green tea in Japan may explain why the rate of heart disease in men there is very low, despite that fact that seventy-five percent of Japanese men are smokers (Parkinson 2008). Animal research has also shown that the antioxidants in green tea inhibit the absorption of cholesterol and promote its excretion from the body. While these and other studies would indicate that green tea may help prevent heart disease, the FDA has concluded that there is not yet enough research to support this claim (http://www.umm.edu/). In 1994, the Journal of the National Cancer Institute published a population study of Chinese men and women which indicated that drinking green tea reduces the risk of esophageal cancer. Along these same lines, the University of Purdue has shown that a compound in green tea actually inhibits the growth of cancer cells (Parkinson 2008). Green tea may even aid in weight loss. It was found that men given caffeine and green tea extract burned more calories than those given caffeine and a placebo (Parkinson 2008). The FDA has yet to back any of the claims that green tea can help prevent heart disease, cancer or any of the other many diseases researchers are considering. However, it can be said there are decidedly few negative side effects associated with drinking green tea. The only side effect reported to date is insomnia due to the caffeine in the tea. Then again, green tea has about 40-70% less caffeine than coffee (Parkinson 2008). It may take some time before researchers and the FDA reach any conclusions about the health benefits of green tea. In the meantime, I think I’ll brew myself a cup! Parkinson, Rhonda. "The Miracle of Green Tea." About.com. 2008. 18 Nov 2008 . "Green Tea." Complementary Medicine. Sept 30 2008. University of Maryland Medical Center. 18 Nov 2008 . So which is it? CSI? CSI Miami? CSI NY? Everyone has a favorite, and these days more than 50 million people are tuning in each week to watch at least one of the three CSI series (“The Real CSI,” 2005). They have increased the popularity of forensic science across the globe, but exactly how accurate is the CSI world compared to real life? It seems that even the writers and producers, paired with their forensic science advisors, have failed to catch a few key mistakes in many episodes of CSI. Testimony from real crime scene investigators (CSIs) about their experiences on the job can help dissolve the myths and expose the reality of forensic science for CSIs in real-world crime labs. It’s not as beautiful as it looks on TV. - DNA tests can sometimes take weeks or months to get results, and depending on the quantity and quality of the sample, an exact match may not be possible. - Although CSI’s often wear street clothes instead of an actual uniform, they are unlikely to wear high heels and designer clothes to a crime scene! After recognizing the misconceptions portrayed by the TV shows from the CSI series, it is important that people recognize the limitations of forensic science in the real world. Despite its growing popularity for students (there are record levels of enrollment at the National Forensic Academy) and the glamorous CSI lifestyles portrayed on TV, we must remember that “real CSI investigations still involve a great deal of time, luck, and guesswork” (“The Real CSI,” 2005). But there aren’t nine seasons for nothing! People love CSI, no matter how unrealistic it can be. After all, it is only a TV show. • Historically, it has been challenging to replicate endurance performance measured in a laboratory setting. 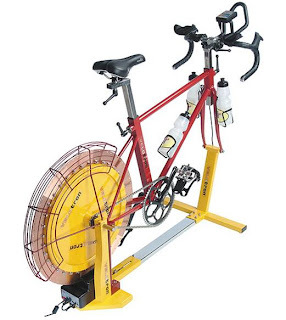 One common solution has been an indoor time trial (TT) using the subjects’ bicycle placed onto a trainer, which applies resistance to the rear wheel. A TT is the completion of a given distance in the least amount of time. This traditional method presents technical complications and does not provide the subjects with any external motivational stimuli. Despite these drawbacks this method has shown good test-retest reliability (1-4). 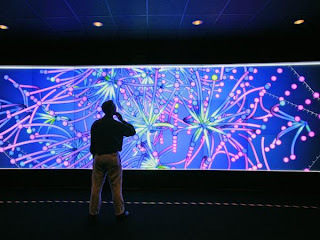 • The Velotron Pro bicycle ergometer uses virtual 3D interactive software that simulates a virtual cyclist riding outdoors. 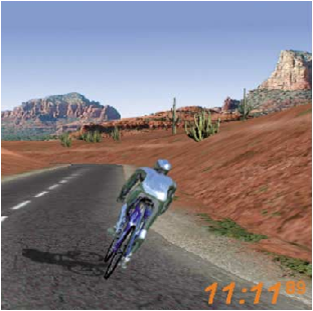 The subjects’ power output (watts) is used by the software to determine instantaneous speed of the computer simulated cyclist. The software provides the option of using a pacer to give the subject a virtual cyclist to race against. As a result of the software, the Velotron Pro provides the rider with continuous feedback that is not available using a standard trainer. The Velotron Pro is a fully adjusted bicycle ergometer that uses an electronic brake as opposed to a bike placed on a roller system which relies on friction between the tire and roller. This removes one of the common technical problems seen with the traditional method used for indoor TTs. • Unlike TT that did not use a pacer which either found no improvement over time or an improvement from TT1-TT2 and not TT2-TT3 (1-4), a previous study from this lab using the Velotron Pro with a pacer suggested an improvement in TT performance with each subsequent trial. Our goal of this study was to determine the test-retest reliability of three consecutive repeated indo or time trials using the Velotron Pro bicycle ergometer without any pacer. x was measured using a metabolic cart. The subjects performed a routine 15 minute warmup which was the same each time. The velotron ergometer was calibrated according to the instructions. For each time tiral that was performed, the finishing time, average watts, average heart rate, and average RPMs were recorded. The data that we recorded was analyzed using a repeated measures ANOVA, CV, ICC, and SEM. 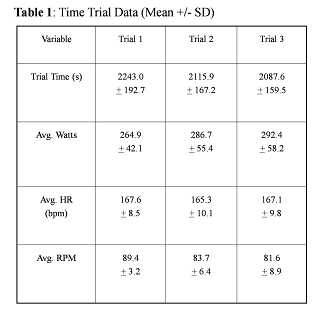 Table 1 shows the averages for the data that was recorded during each time trial. Table 2 shows the reliability of the testing that we performed. This helped us determine is the cyclists improved over each trial along with other things. 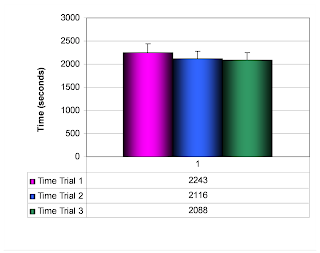 Graph 1 shows the differences in time between the three different trials that were performed. The data that we obtained from this study shows that there was almost a significant difference between the first and second time trials. The difference between the second and third time trials were not significant. This can be seen in Table 2. This data suggests that removing a pacer decreases the liklihood of continual improvement with each consecutive trial performed. By looking at Table 2, we can suggest that the pacer may unfluence the finishing time while having little or no effect on the test-retest reliability. This is consistent with other studies that have been performed. Jensen K. and Johansen L. Reproducibility and Validity of Physiological Parameters Measured in Cyclists Riding on Racing Bikes Placed on a Stationary Magnetic Brake. Scand J Med Sci Sports 8: 1-6, 1998. Palmer G.S., Dennis S.C., Noakes T.D., and Hawley J.A. Assessment of the Reproducibility of Performance Testing on an Air-Braked Cycle Ergometer. Int J Sports Med 17: 293-298, 1996. Smith M.F., Davidson R.C., Balmer J., and Bird S.R. Reliability of Mean Power Recorded During Indoor and Outdoor Self-Paced 40 km Cycling Time-Trials. 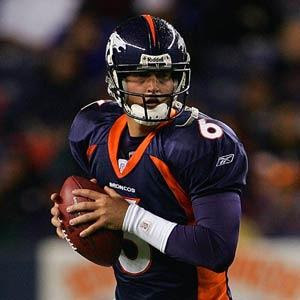 Int J Sports Med 22: 270-274, 2001. Boulder Dash is located in Bristol, CT at the Lake Compounce Park. 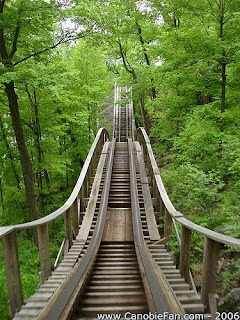 It's built into the side of a mountain and speeds through trees making it one of the top roller coasters in the world. 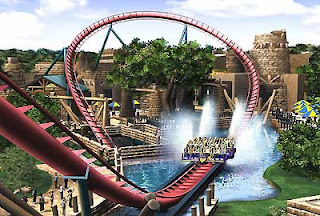 This coaster is located in Jackson, NJ at Six Flags Great Adventure. Riders of El Toro experience an adrenaline rush and a smooth ride. Santa Claus, IN houses this ride in the Holiday World Park. This roller coaster proves that size and length aren't everything because it generates sensations of weightlessness and incredible speeds in just 90-seconds. This ride can be found in Buena Park, CA at Knott’s Berry Farm Park. It was built by the same company that built Boulder Dash. 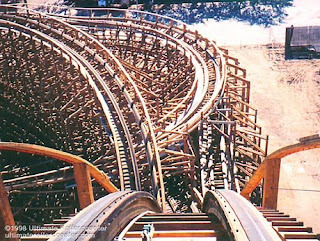 Defying friction, GhostRider doesn't come to a stop until the brakes are applied. Astroland in Coney Island in Brooklyn, NY is home to the Cyclone. This coaster may not have the smoothest ride of all, but it is a favorite because it is one of the originals. Six Flags New England in Agawam, MA is home to this amazing coaster. Superman gives riders the perfect combination of great speed and airtime from the moment it leaves the station until it returns. 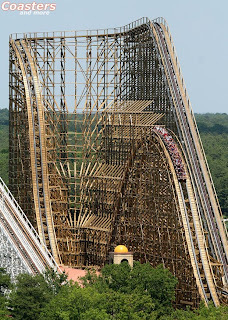 This coaster is located at Busch Gardens Europe in Williamsburg, VA. This is one of the smoothest and most exhilarating roller coasters in the world. Islands of Adventure at Universal Studios in Orlando, FL is home to this great ride. It is a roller coaster unlike any other, but it must be ridden to be believed say the experts. SheiKra is located in Busch Gardens Africa in Tampa, FL and Griffon in Busch Gardens Europe in Williamsburg, VA. Because they are both diving and floorless coasters they are tied for number four. They are the most unique and wildest roller coasters on the planet. 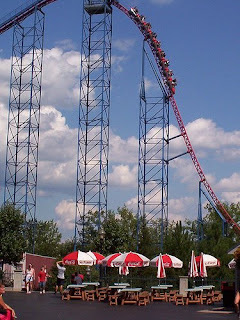 Six Flags Great Adventure in Jackson, NJ is home to this coaster. The creators of Apollo’s Chariot also created this coaster, which is smooth and has incredible airtime. Roller coaster trains do not have engines or motors. They rely on stored potential energy to give their riders an amazing experience. Slowly pulling the train up the initial hill of a roller coaster is not just a way to scare the passengers, it is a way to build up potential energy that will turn into kinetic energy on the way down. 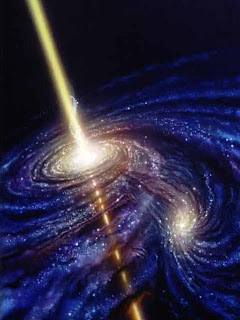 As it moves higher and higher up the potential energy is increasing. The potential energy that has been stored up on the way up can be released as kinetic energy on the way down the hill. At the top of the first hill there is maximum potential energy. Kinetic energy increases less very little potential energy at the bottom of the first hill. The second hill of the coaster is much smaller and the kinetic energy allows for the movement of the coaster up this hill. While moving up this hill potential energy is being built up. While going down the second hill the potential energy is converted back into kinetic energy to propel the car down the hill. The reason for the decrease in the height of the hills while moving along is because some of the mechanical energy is lost as thermal energy due to friction with the tracks. When entering a loop, the train has a lot of kinetic energy and very little potential energy. When it reaches the top of the loop the amount of kinetic energy is smaller than the amount of kinetic energy at the bottom of the loop. The change from potential to kinetic energy is what the roller coaster experience is all about. When the train reaches the end of the track the remaining mechanical energy is dissipated using breaks bringing the cars to a stop. All the energy is converted to heat as the brakes are applied. Energy is conserved throughout the ride but mechanical energy is lost throughout the ride because of the friction with the tracks. The force of gravity acts on you at all times, wherever you are on Earth. It pulls you towards the ground, but the sensation of weight is the force of the ground pushing up against our feet. Gravity plays a large role in the movement of roller coasters. If there is a hill that the coaster needs to go down gravity will pull it down and if there is a hill it needs to go up gravity will apply a downward force on the back of the car to cause deceleration. The other force that we feel is the normal force. This normal force acts on you at all times, on Earth and while riding a roller coaster. On a roller coaster you often accelerate and the magnitude of this force changes creating the feeling of weightlessness. The other force that we feel is centripetal force. When going around curves, the centripetal force is pointing towards the center of the curve and it is supplied by the side of the car that you are sitting in. Newtown's first law that says you will stay in motion explains why the car applies a force on you while on the roller coaster. The force is needed to keep you following a circular path. When we are riding at constant speed we only feel the force of gravity, but as we speed up or slow down we get pressed up against our seats or the restraining bar in front of us. Because of Newton’s first law of motion, “an object in motion tends to stay in motion,” says that we will continue to move at the same speed and direction unless another force acts on us. The force that speeds us up is the force that our seats push against our bodies and the force that slows us down is the force that our restraining bar pushes against our body. Force and gravity play a large part in the movement of roller coasters. Physics is what makes roller coasters work! Levine, Arthur. "Best Roller Coasters." About.com. 2008. 9 Nov 2008 http://themeparks.about.com/cs/coasterbooks/a/bestcoasters.htm. Harris, Tom. "How Roller Coasters Work." How Stuff Works. 2008. 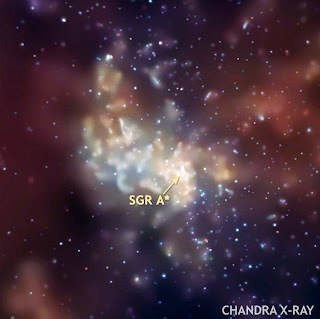 9 Nov 2008 http://science.howstuffworks.com/roller-coaster.htm. 2. Bacteria, Salinispora tropica – Can Sediments Fight Bone Cancer? The bacteria Salinispora tropica is found in ocean sediments off of the Bahamas and produces the anticancer compound salinosporamide A. This compound has been shown to treat the bone marrow cancer multiple myelinoma along with other solid tumors. This is a very useful organism because 10% of its genes produce antibiotics or anti-cancer agents. Organ transplant recipients require treatments with drugs that suppress their immune systems. Immunosuppressants prevent the recipient’s body from rejecting the new organ. 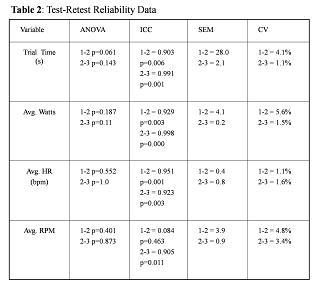 The molecule pateamine A is isolated from marine sponges of the genus Mycale. Pateamine A is an immunosuppressive agent that is so effective that scientists are currently working to manufacture it in large quantities for treating patients. The sea coral Bugula neritina contains bacteria that have the potential to treat a variety of cancers. One product of the bacteria, Byrostatin 1, is an anticancer drug which can be passed through the larva of the Bugula neritina. Instead of simply killing cancerous cells, Byrostatin 1 changes how the cells function in the body. 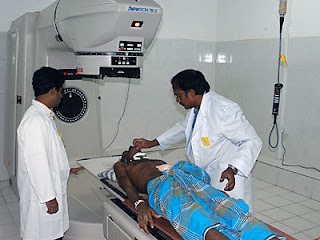 This drug is currently in clinical trials for humans but unfortunately, there is not yet a way of producing the amount of Byrostatin 1 necessary to treat the number of people suffering from cancer. Edmonton A. Cyplasin Biomedical Ltd Announces Second U.S. Patent for Cyplasin. 2007. D, Machuy N, Thiede B, Hurwitz R, Goedert S, Rudel T. 2004. Hydrogen peroxide produced by Aplysia ink toxin kills tumor cells independent of apoptosis via peroxiredoxin I sensitive pathways. Cell Death and Differentiation. 11: 608-17. Cancer Killer Found in the Ocean; marine biotechnologists treat cancer with mud-loving ocean bacteria. Science Daily. 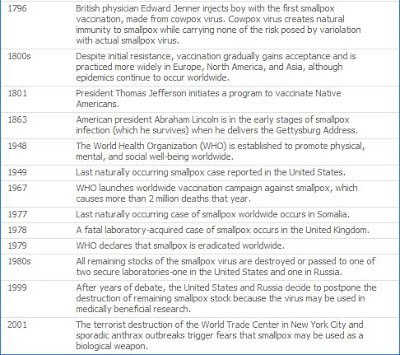 2007. http://www.sciencedaily.com/videos/2007/1107%20cancer_killer_found_in_the_ocean.htm . Potent New compound from blue-green algae May Help Treat, Elucidate Nerve Disorders. Science Daily. 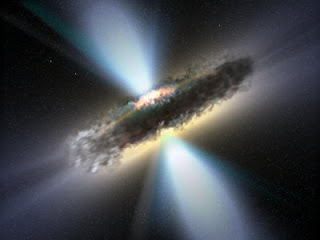 2000. http://www.sciencedaily.com/releases/2001/12/00122008347.htm. Natural Compound from ‘Pond Scum’ shows potential activity against Alzheimers. Science Daily 2005. http://www.sciencedaily.com/releases/2005/12/051227155255.htm . Marine bacteria a source for anti-cancer drug. GeneWorks. 2001. http://www.labonline.com.au/news/5430-Marine-bacteria-a-source-for-%20%20anti-cancer-drug .